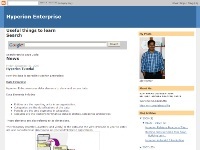 Details: This Hyperion Tutorial shows the way data is stored and accessed in Hyperion Enterprise. It is divided into a Data Elements section, Data Address, Entities and Organizations, Categories, Accounts and Time Periods. It contains examples and illustrations.